We have just expanded some of our stores so that our natural history collections, which are currently dispersed over numerous locations, can be kept in one place. One of the groups I am working on at the moment is the egg collection, which seems very fitting for Easter! 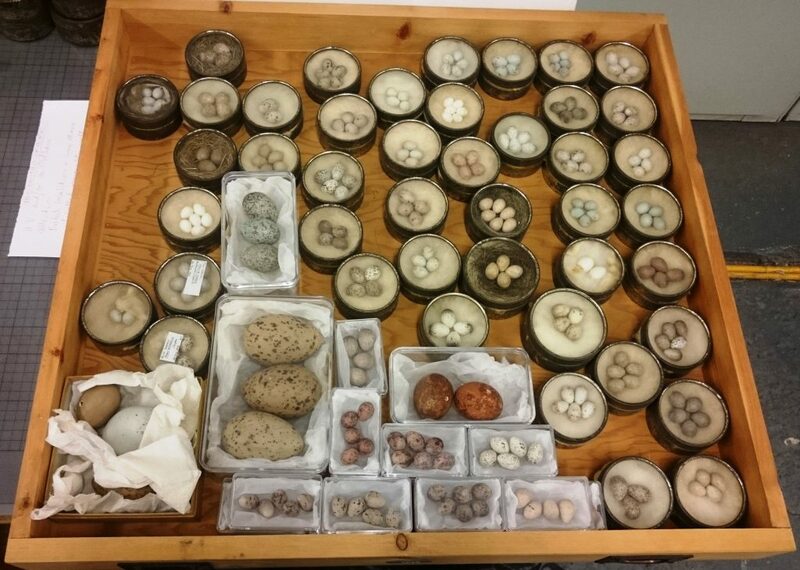 Believe it or not, egg collections themselves can be quite contentious. 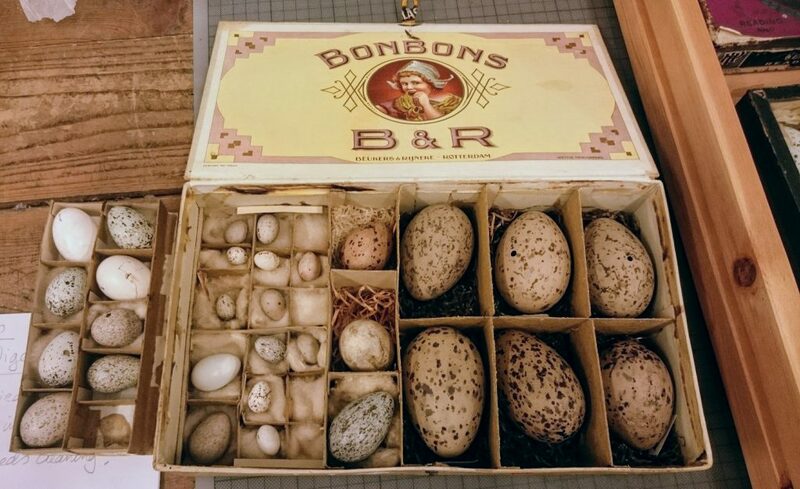 In days gone by egg collecting almost reached a kind of mania, and it was considered a healthy pastime by children and adults to go out and take the eggs of wild birds. This took its toll on bird populations and some were even brought to the brink of extinction, so it was made illegal to collect or trade eggs from any wild bird unless you have a special permit. 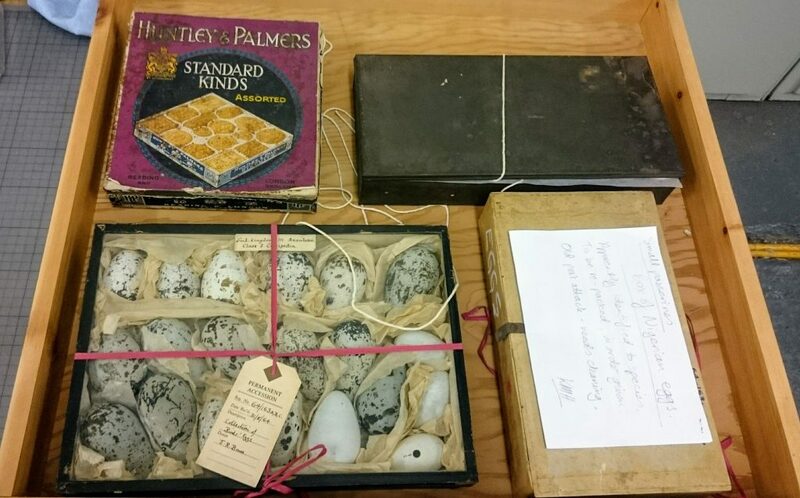 We are often offered old eggs, but sadly many lack the details of when and where they were collected, and this information is one of the most crucial parts of a collection. 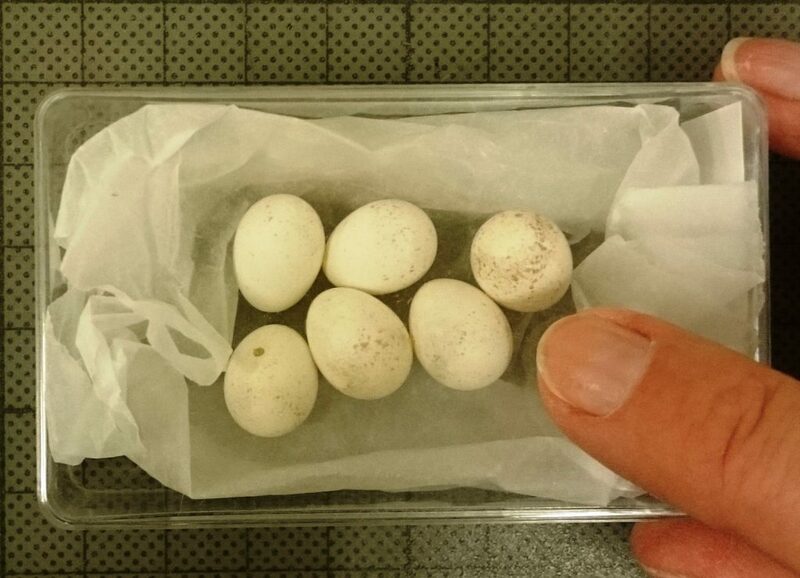 Currently the eggs are housed in the original cabinets from 1934 that were removed from the current natural history gallery in 2005. 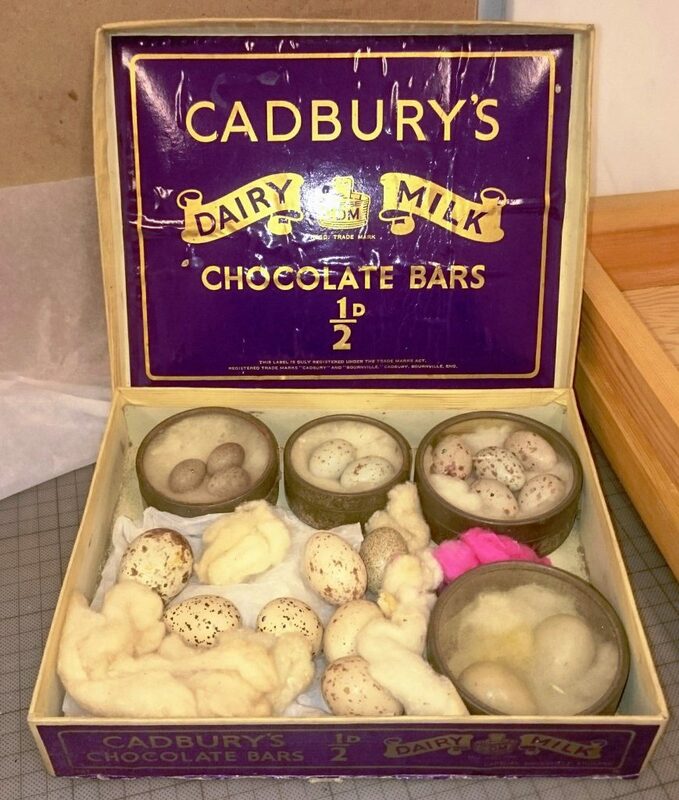 These are comprised of pine and oak and the eggs themselves are separated into an assortment of receptacles, ranging from old chocolate boxes and biscuit tins to containers made out of modern, ‘crystal’ polystyrene. When we tested the drawers with litmus paper we found that the environment within these cabinets is slightly acidic, so it was important to rehouse everything in a neutral environment to ensure their longevity. It is also a good chance to check through everything we have, make labels and information more visible, improve access and monitor for any pest infestations. As a curator, you sometimes have difficult choices to make. I love the old boxes and tins, some of them are practically museum objects themselves and they really add to the character of a collection when you are opening up the drawers, but ultimately they are problematic over the long term. One hundred years can take its toll on a receptacle that was meant for sweets and supposed to be disposable, most have not stood up well to the passage of time; you want a strong box to hold your most delicate objects.